out during the grand final match on Sunday. 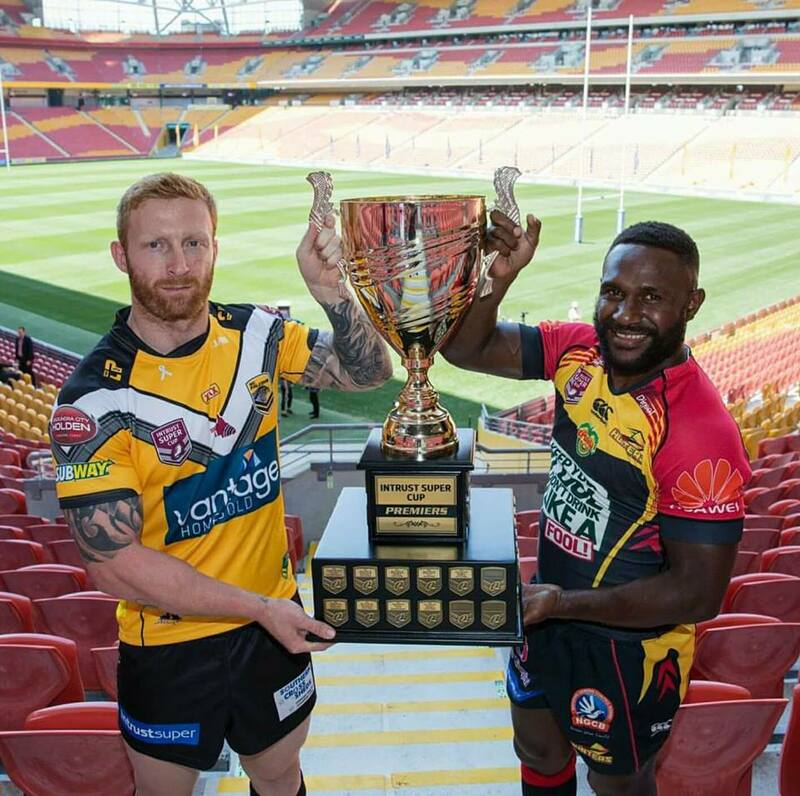 Will it be the Hunters or the Falcons to lift the Intrust Super Cup on the conclusion of the Grand Final day? This Sunday will see the culmination of a fantastic season of Intrust Super Cup with the PNG Hunters facing off against the Sunshine Coast Falcons for the chance to hold the trophy aloft this year. The Hunters are the minor premiers and come into this game having broken their finals hoodoo with a hard-fought win in Week 2 over the Redcliffe Dolphins. The Falcons however have hit their straps at just the right time – winning three finals matches in a row to feature at Suncorp Stadium. For sure, the best team of grand final day will run home with cup.